Elaine Hancock (Olney, United States) on 11 September 2015 in People & Portrait. Returning to Delaware on the Cape May Ferry. My son and his wife. I always find it special spending time with them. I don't get to see them very often. And what a stunning sunset indeed! Woooooo, de belles silhouettes sur ce ciel féerique. One archetypal image of happiness ! a fabulous image !!!!! Great !!! All your love seems glittering here ! A very romantic athmosphére !! I like this !! It looks like the weather was in your favor Elaine.... a beautiful sunset... so glad you are having some family-time. Special memories!! A fine composition with the couple to one side of the setting sun. An excellent image. the sunset is lovely ! 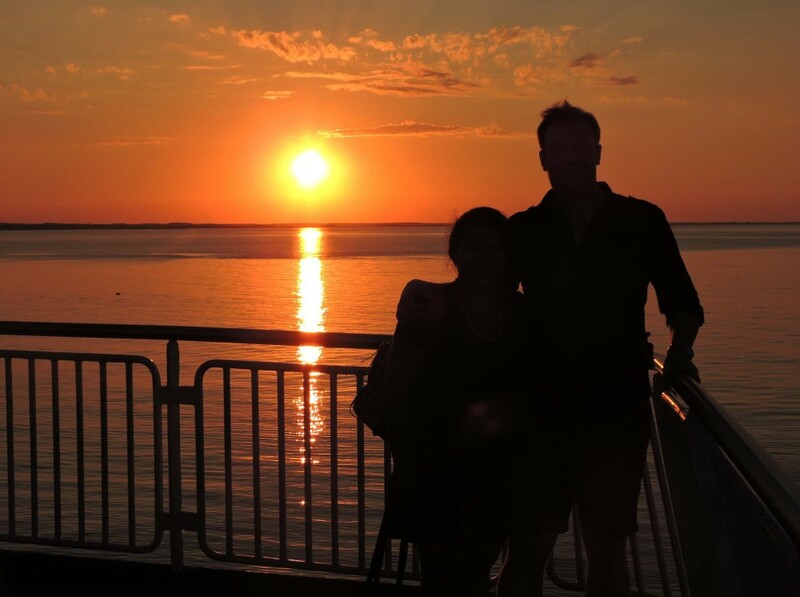 Wonderful moment with the silhouettes of the couple - they seem enchanted by the sunset.